Conscious Capital’s mission brought us to Stockholm a couple weeks ago. Striking up a conversation with a cab driver I ask him "how is life"? He tells me with a huge smile– he lives 15 minutes outside of the city, children are all in school, has a retirement pension waiting for him and his health insurance is covered- "it's a very good life" he says. On my return I grab an Uber from JFK. The driver was clinching the wheel as he honks the horn. I ask him the same questions asked of the driver in Stockholm "it's killing me" he says, then he shares his concerns about working 14 hour days, his inability to send his children to school, medical bills growing and knowing he will never be able to retire or do anything in his life other than work. It was Charles Dickens' A Tale of Two Cities; two individuals of the same age and gender, performing the same job with one striking difference - one was fullfilled and one was miserable. Is this the best we can do? Basic needs, if not met keep us locked into the lower levels of Abraham Maslow's stages of development leaving us unfullfilled, sick, and never being able to express our higher purpose. 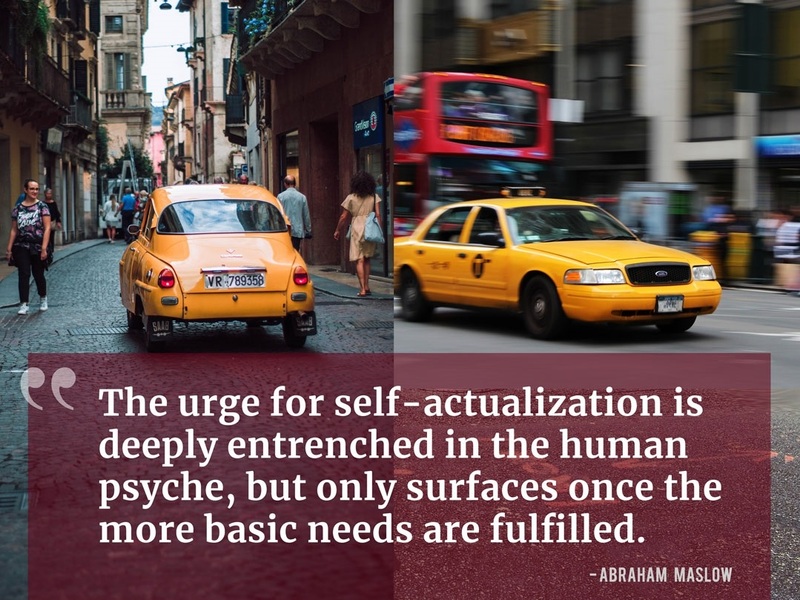 As Maslow reminds us "the urge for self-actualization is deeply entrenched in the human psyche, but only surfaces once the more basic needs are fulfilled".